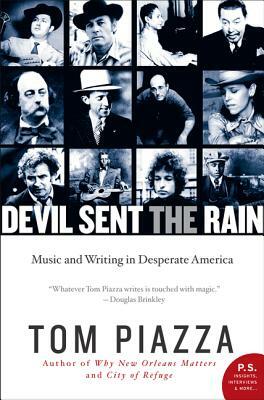 Acclaimed author Tom Piazza follows hisprize-winning novel City of Refuge and the post-Katrinaclassic Why New Orleans Matters with a dynamic collection ofessays and journalism about American music and American character, in DevilSent the Rain. Tom Piazza is the author of the novels City of Refuge and My Cold War, the post-Katrina manifesto Why New Orleans Matters, the essay collection Devil Sent the Rain, and many other works. He was a principal writer for the HBO drama series Treme and the winner of a Grammy Award for his album notes to Martin Scorsese Presents: The Blues: A Musical Journey. He lives in New Orleans.